Touch-screen interfaces are effective in many information appliances, in personal digital assistants (PDAs), and as generic pointing devices for instrumentation and control applications. 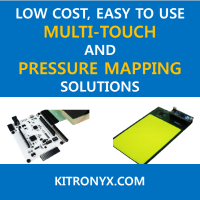 Getting the information from a touch screen into a microprocessor can be challenging. This article introduces the basics of how resistive touch screens work and how to best convert these analog inputs into usable digital data. Issues such as settling time, noise filtering, and speed trade-offs are addressed.